Oh I have missed your internet presence! so we'd have to plan for a huge deviled-egg party or something. Wait - isn't every party a deviled-egg party? 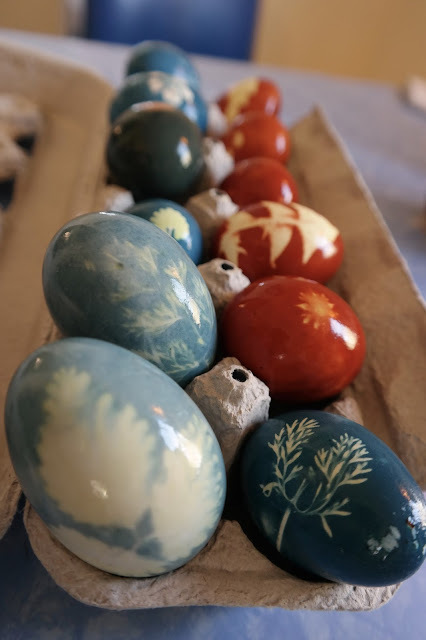 Really pretty eggs. I saw that online somewhere earlier this spring and was going to forward it to you, but then I thought 'she'd have to go out and but nylons. What are the chances of that!' They turned out great. I love how those turned out!! Beautiful! How are they so shiny? Don't you ever eat egg salad? Love it!! Or potato salad? You're welcome!